Astrology is the oldest system theory of mankind. Originally developed from basic calendars, it was used by ancient cultures as an instrument to analyze the quality of time, as a seismograph of the zeitgeist. Long before modern personality psychology, astrology was designed to provide an elegant model for describing human types and characters. Long before modern business cycle theories, astrology delivered a subtle model for the cycles of time. Long before modern system theories, it provided a complex conceptual model for describing systemic correlations. AstroMANAGEMENT is your competent partner in the areas of strategy, branding, personnel and communication. 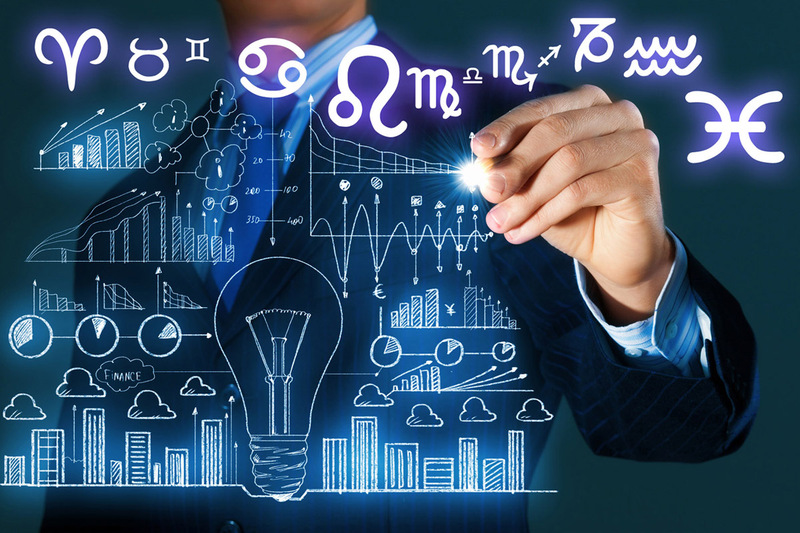 I combine the know-how of modern business management with the ancient art of astrology. For most people astrology is a book with seven seals. In this video I show how “the oldest system theory of mankind” works and explain the basics of a horoscope with sun, moon, the planets and the astrological aspects and houses. And I demonstrate the precision of an astrological personality profile with the horoscope of Wikileaks figurehead Julian Assange.